You’ve heard the typical voicemail message, right? It goes something like this: “You’ve reached XYZ Corporation. Please leave a message.” How boring! Make your voicemail a little more interesting by adding in things like your company’s mission statement, a random fact about the business, or perhaps a special sales promotion available that week. As long as it isn’t too lengthy, adding in these bits of information can create a bigger impact and therefore, be more memorable to your callers. It shows callers that you pay attention to the details and that you care, which are qualities that encourage people to do business with you. Make sure to identify yourself and your business on your voicemail greeting. It confirms that your caller reached the right party. It will also reduce the number of wasted calls, hang-ups, and trivial messages that your small business receives. Let your callers know when they can expect a call back from you. Will it be two hours? Within 24 hours? Or do you return all calls between three and four pm? Whatever the case, say so on your voicemail and then follow through with your call-backs at the expected time. This process ensures your callers aren’t wasting their time leaving a message. It also makes them more likely to leave you a voicemail for you in the future since you’ve proven to them that you’ll actually call them back. Sound upbeat and happy while recording your phone greeting. As odd as it may feel, make an effort to smile while you speak. When you genuinely smile, **listeners can hear the cheerfulness in your voice. Try it, you’ll see what I mean. Avoid sounding like a monotone robot. Even Siri uses some inflection in her voice. Rather than drone on, try modulating both your speech and the pitch of your voice when recording your greeting. Don’t rush it. As you record your greeting, speak a little more slowly and clearly than usual, so your callers can easily understand what you’re saying. Avoid speaking too slowly, though. Those that are short on time may simply hang up rather than wait to leave a message. While providing a lot of information on your voicemail greeting can be helpful to some, an overly lengthy voicemail greeting can do more harm than good. This is particularly true if the same people call back and have to listen to the long message over again. Try keeping your greeting to 20-25 seconds, at the most. As you prepare to record your message, pay attention to your surroundings and listen carefully for background noises that your voicemail can pick up. If it’s not quiet enough, record your voicemail greeting in another place where the background noises are inaudible. With the above-mentioned tips in mind, write down your voicemail greeting and edit it until you have a script you find appealing. Rehearse it out loud a few times so you can hear how it sounds. Continue to edit it until you have a script that comes across as solid and professional. Do a trial run on your voicemail and listen to it to be certain it sounds great. Updating your greeting frequently will result in more people listening to your message in its entirety. Anytime you are going on vacation, a conference, or a trade show, have your voicemail greeting reflect the time you’ll be out. If you’re at an industry-related event, some callers may leave a message in hopes of connecting with you there. With magicJack, your voicemails are emailed to you immediately so that you can quickly call back and make arrangements. And, when you return from your trip, don’t forget to update your greeting. 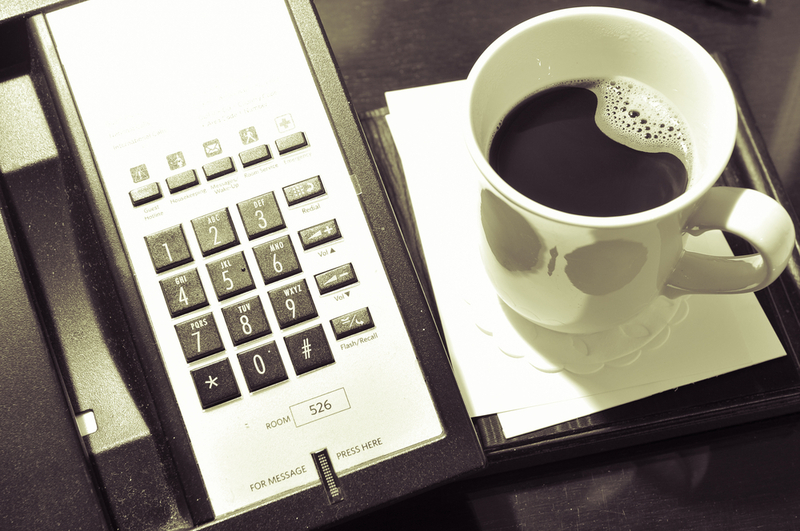 A dated voicemail greeting with irrelevant information can be frustrating to your callers. What about you? What other tips that you would add to this list? Share them with us on Facebook or Twitter.